Children’s Day of the children of collaborators Los Cabos. Posted by admin in Comunity Development on 04 30th, 2012 | Comments Off on Children’s Day of the children of collaborators Los Cabos. Children’s Day Celebration neighborhoods in Los Cabos. Posted by admin in Comunity Development on 04 30th, 2012 | Comments Off on Children’s Day Celebration neighborhoods in Los Cabos. Self-esteem course for workers in Pueblo Bonito Sunset. 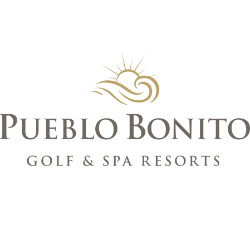 Posted by admin in Social Assistance on 04 19th, 2012 | Comments Off on Self-esteem course for workers in Pueblo Bonito Sunset. Parent School Pueblo Bonito Los Cabos. Posted by admin in Social Assistance on 04 13th, 2012 | Comments Off on Parent School Pueblo Bonito Los Cabos. Group home children’s day in Los Cabos. Posted by admin in Comunity Development on 04 5th, 2012 | Comments Off on Group home children’s day in Los Cabos.